The song and MV was made for the online game, “The Story of My Horse and I, Alicia”, as IU was picked up to be the game’s representative spokesmodel. 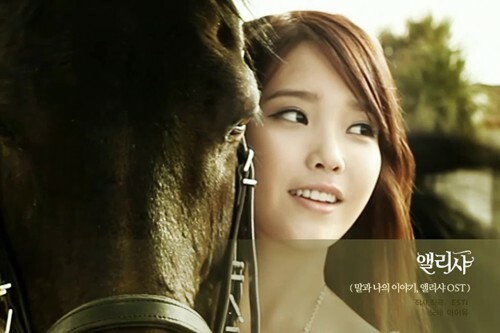 IU has been preparing a long time to create this music video, as it called for the star to go horseback riding. The results are stunning – the teenage star’s youthful charms were perfectly showcased through her light and airy outfit, and her bright vocals left us smiling. This entry was posted on February 1, 2011 by redtofu. It was filed under MV, Solo, Videos and was tagged with IU.